“Dark, dark my light, and darker my desire. Do you ever feel like you are losing your mind? I mean really losing your mind. This is me – at least the me of now. I have developed this huge fear of dementia – more specifically of Alzheimer’s. A person that has Alzheimer’s Disease has a brain that looks like Swiss Cheese – holes everywhere. This disease literally eats pieces of your brain. You forget people. You forget places. You forget experiences. You forget how to take care of yourself. You forget how to swallow. You forget how to talk. You lose you. Back in the 1980s, my maternal grandfather had Alzheimer’s. He died not long after I turned five, so I have very few memories of him. In fact, I only have one memory and I am not sure it is even real. Over the years, I have heard my mom talk about her father during this period. He would walk and walk and walk and have to be brought home from miles away. He had moments of not recognizing his wife of many years or his children. She always comes back to, “I wish we knew then what is known now about this disease. It would have helped us.” It is true that very little was known and so members of the family were hurt much more by his forgetting them than perhaps could have been the result. The family had not been given key information to aid them in their coping with this loss of their husband and father. This information just was not readily available because it was still early days. Alzheimer’s Disease is called “The Long Goodbye” for a reason. By the time a person does die, he is truly and completely gone. I see this every day at work. I see the grief family members are called to endure as they slowly lose their family member. Would I wish this disease on even my greatest enemy? NO! I feel this incredible fear and almost certainty that this will happen to me. I do not want to miss or regret any moment of the life that I am given. I often feel that my mind is this jumbled jar of thoughts, ideas, and warring emotions. This past week has been one of heightened creativity. However, with this creativity comes this feeling of unimaginable madness. I could not even begin to describe this feeling. It is like wanting more, more, more and being given a pittance. I want more time to devote to my art, more time for personal and professional creativity, more time to just live. I am happy and sad, satisfied and unsatisfied, energized and exhausted all at the same time. So, for today, I live and create. Tomorrow I hope to be able to do the same. There will come a day, hopefully in the far distant future, when I may not even remember that I desired to do so. It’s another segment of confession time. There are several new readers to this site and I want to say “Welcome!” So, for your reading pleasure, here are some confessions of a mad pianist – just so you get to know me and my eccentricities a little better. I hate walking outside after dark. I always have. You could say that I am afraid of being attacked by someone or something. I think it goes back to my watching “Unsolved Mysteries” as a young child. This fear also extends into going into any basement when I am alone – regardless of the time of day. I think I mostly blame my brother for this one. He would tell me all sorts of stories about things coming to get me. For example, he once told me that if I jumped too high on the trampoline that the aliens would be able to see me and come take me away. He would also join me in watching “Unsolved Mysteries” and then concoct ways to scare me out of my skin. Such a wonderful brother, right? No, really- he was and is pretty great. I organize my books (mainly my books and other stuff as well) by height. I then further break it down alphabetically by author’s last name if there are several books at the same height. I also have organized all my movies alphabetically and the TV on DVD is separate. All my music is organized alphabetically by name of band and further by name of album. Maybe it’s a little OCD but it makes me feel better. I become really obsessed with things at times. Meaning that once I find something that really strikes me, I tend to focus on that and only that for quite some time. The subject matter rarely matters because it shifts every few months. I have spent time focused on the Kennedy’s, piano technique, certain TV shows, authors, etc. I get really paranoid when I’m driving my car and all of a sudden some vehicle suddenly appears behind me and follows me for quite some time. I always feel like they are deliberately following me and are, once again, going to attack me. Can I blame the crime and conspiracy shows that I sometimes like to watch? I actually enjoy pain. I know that sounds bad but it’s pretty true. Not all pain, of course. I hate headaches and pain when I’m sick. However, I get really excited if I wake up sore in the mornings. I love bruises – not only are they like battle wounds but it’s pleasantly hurtful when you accidentally touch them. I think pain is a wonderful way to remember that you are alive. It’s like justifying life. I really, really, really hate overhead lighting. It’s almost intrusive. I love a room lit just by lamplight and candles. I remember always laughing at the clarinet professor during my undergrad years because of his not using the overhead lighting but I totally get it now. It just really bugs me when something is too bright. Call me whatever you will, but soft lighting will always be the way to go. I can never have too many lamps. I love to travel – to see the way that people all over live. I don’t even mind traveling alone. On my bucket list is a plethora of places I want to see. One of my goals is to set foot on each of the seven continents before I die. I tend to over think everything. I believe that there is a definite reason for everything and I am continuously racking my brain in order to try and figure things out. I also tend to doubt myself and my decisions pretty much all the time. It’s a constant source of stress for me wondering whether I’m really doing the things that I’m meant to do. I have a really hard time paying attention a lot of the time. When I had to attend class, I would drift off and not really hear some of what was said. If you are ever talking to me and wondering if I’m ever paying attention, I’m probably not. I tune out and respond to people with “mmmhmmm” and a head nod so they think I am actually listening to them. I will now hang my head in shame. I always felt that I was really misplaced in my life. I love Idaho and country-living but I never really felt like I belonged. Idaho will always be home for me, at least in my heart but I don’t know that I will make my entire life here. I enjoyed living in Oklahoma as well but it wasn’t necessarily “home” either. One day I will find the place I feel I belong and all will be well in my world. This I do believe. I’m not antisocial. I have a hard time putting myself out there because of many things. I fear that I will be left alone and/or will be the odd person out. I suppose I leave myself out on purpose to make the rejection of myself my own fault. I want to be more involved and perhaps I can work on that but give me some time. I love thunderstorms and just rain in general. While I lived in Oklahoma, it was like weather heaven for me. I loved how the thunder would shake the whole house. After I came back to Idaho, I would really anticipate the thunderstorms and then be sorely disappointed. Lightning and thunder are wonderful. Sigh. One of the happiest places for me to be is wrapped up in a blanket under a lamp reading a book. I have a lot of books on my “to-read” list. I will never run out of adventures and worlds to temporarily inhabit. I truly do think that my family is filled with a bunch of freaks but I wouldn’t trade them for the sake of normality. We are all blessedly different but somehow seem to get along most of the time. I really miss my “what the bleep down the rabbit hole” days with Lisa and Andrea. You will be introduced to these characters soon – maybe next week. They really taught me to live the day that I am given and to embrace whatever life has in store. I never thought that my friends could be my family until I met these wonderful gals. I have discovered that I have more patience than I ever thought I had. Granted, there are days when I have very little but it’s more than maybe could be present. Today, for instance, I really wanted to snap at some of the old people I work with. Everyone was having a bad day and was grumpy (me included). I swear, if one more person asks me for a napkin while I am handing out the percussion instruments I am seriously going to snap! All is well. I still have a job. I think if given the right opportunities and the right contacts, I could do something amazing with my life. I am still not sure what that something amazing would look like but I know it is there. Perhaps this here is just the first step in a series of adventures that will follow. I really, really hope so. As a child, I always thought that I would die tragically as a teenager. Now, I have the fear that I will die young but it will be murder. This used to not terrify me as much as it does now. The older I get the more concerned I am for the associations I make for this very reason. I like playing scales and arpeggios. GASP. I never thought I would admit to that one but there it is. The more I practice and work at my scales, the better I play in general. Now, who wouldn’t like to play scales if the results are out of this world FANTASTIC? Go play your scales. I am in a box musically. I am trying to break out of this box but it is so incredibly hard. I love Bach, Beethoven, Liszt, Chopin, Schumann, Bartok, etc. but I absolutely hate Joplin and most ragtime. My mother is probably shaking her head by now. She would love nothing more than for me to play a whole program of ragtime. I struggle with the will and desire to even learn one piece. So, I am going to work at working at this. All in good time. So, there are a few of my confessions. Why don’t you send me a couple of yours? What is it about yourself that you really wish you didn’t know? The funnier the better. Go for it. You know you want to send them to me. Don’t forget to send me your questions and comments. The more questions you have to ask, the better. I promise to get to them all and then answers just might surprise you. You want to know why the Mad Pianist thinks the sky is blue, why political parties cannot seem to get along, or why your pedaling foot hurts? Use the contact me form and send in whatever you want to send in! Are you ready for another installment of “The Mad Pianist Confessions?” Okay, so maybe that’s not a real thing but it is what we are doing today. This may surprise some but I am probably the most insecure person that I know. In fact, I have been fairly insecure 95% of my life. I have been very blessed to have people in my life that have helped to buoy me up and offer me praise but that’s never really enough, is it? Confidence is something that has to come from within and cannot be imposed upon oneself. Erich Fromm has been quoted as saying, “The task we must set for ourselves is not to feel secure, but to be able to tolerate insecurity.” So, how is it that we get to the level of toleration? That is the question of the day, isn’t it? I look back on my life and see my insecurities so firmly rooted in my experiences. In high school, I had a great piano teacher but I never felt quite “good enough.” I remember leaving my lessons more than once in tears. She had another student that seemed to be pitted against me often. I have no idea whether that was something done intentionally or just by chance. We were paired for duo piano and played comparable pieces. I came to really detest the sound of her name. “Well, this is what [name] is doing.” I was ahead of her by a year in school, so I moved on and became a piano major at university. She came to audition the next spring and I prayed she would go somewhere else. “Please, anywhere but here.” She did end up attending another university. I have come to a peace about that time in my life and those experiences but I hope that I never cause a student of mine to feel as I did. I was good but it was never quite enough to be acceptable. In college, I remember my insecurity growing so large that I would often not seek out opportunities because of the chance of failure. I remember meeting with my piano teacher during my junior year to talk about my future. I was going to be graduating the next spring and really wanted to go to grad school but was so insecure. I really just wanted her to tell me that I was good enough. Well, it turns out that she had told me in different ways from my very first semester that I was talented and definitely good enough. She was a huge supporter of mine from the beginning and it has taken me years to see this clearly. During that meeting, she did, indeed, tell me that I was good enough and would be a good fit for graduate music school. Another day, another post, and I will tell more about this time in my life, the conversations I had with this professor, and the life lessons I learned while at the keyboard. Not only am I insecure with my relationship to my talent but with my relationships with my family, friends, work, and God. It is always the “am I good enough?”, “Will I be liked better if…” and so on. This is my mountain to climb, I suppose. I am at work today and did a music group with about seven people. One of them said to me: “You are so talented, what are you doing here?” I really had no reply. I know that I have talent and I know that I should feel confidence in what I can do and accomplish. There are days that I am well aware of this and others that I just struggle. I have talent, artistry, and desire but now I need to seek that which I lack: the ability to see myself with those qualities. So, for those of you struggling, I say push on. You are more than good enough. You have all you need within you to succeed. If I can do it, so can you. So, let’s spend a moment and talk about guilty pleasures. I think of guilty pleasures as those things that you enjoy but are maybe a little embarrassed or do not want to admit you enjoy these things. I never used to feel as though anything that I enjoyed should be something to be embarrassed over but then I went to college. I was a music major and became quickly convinced that some art, music, television programs, movies, etc. were more worthy of my time and enjoyment than others. You would think that that notion would be easily dispelled but it has stuck around for a lot of years and my guilt has grown to a new level, I suspect. In fact, this notion should have been dispelled by the fact that one of my music professors was a huge Macy Gray fan and another really enjoyed the Indigo Girls. Somehow, I began to feel even more protective over the types of things I would tell others I enjoyed. “Oh, I rarely listen to the radio and when I do, it is usually on the classical station.” LIE LIE LIE. Okay, so I don’t really listen to the radio but I rarely listen to the classical station. I enjoy Pandora and a variety of music but I feel like I can only admit to certain musicians, like Maria Callas, Vladimir Horowitz, or Daniel Barenboim. So, I decided in this episode of “The Mad Pianist” that I would admit to a few of my guilty pleasures and get it all out in the open. Movies: I like to go to the movies. I like to watch movies at home. I just like movies. I like all kinds of movies – animated, comedy, drama, documentaries, musicals, etc. I do draw the lines a bit at ratings and content that I find questionable but I will give most movies a go. So, what movie do I feel is a guilty pleasure for me? Oh, anything with Tina Fey, Will Ferrell, Tracy Morgan, or Amy Poehler. Yep, any kind of really stupid comedy with fabulous comedy masters makes me hesitant to admit. I enjoy “Date Night,” “First Sunday,” “Baby Mama,” and “Elf.” Okay, I am not so embarrassed about the “Elf” admittance but still. Television: Well, honestly I don’t watch a lot of TV but I do have a HULU account and at least try to watch some of the shows that are supposed to be hits. Guilty pleasure television programs? Well, “Charmed” for one. I own all of the seasons on DVD and very few people know that about me. You know who you are. “The West Wing” is also a guilty pleasure. All the seasons on DVD are on one of my Amazon wish lists if you want to purchase it for me! There is one show that is in its first season that I want to be an advocate right now – “Trophy Wife,” It is absolutely funny and was just picked up for a full season. So, check it out. I am also a huge fan of “The Closer” but not so embarrassed about that show. Music: Now we hit where I feel most embarrassed and where my guilty pleasure meter hits the all-time high. As a musician, I feel that all my music likes should be lofty and full of art. I should only like music with absolute purpose – music that requires a lot of transition and more than three chords. Well, that’s not really the case. I do love artsy music and I love my classical. 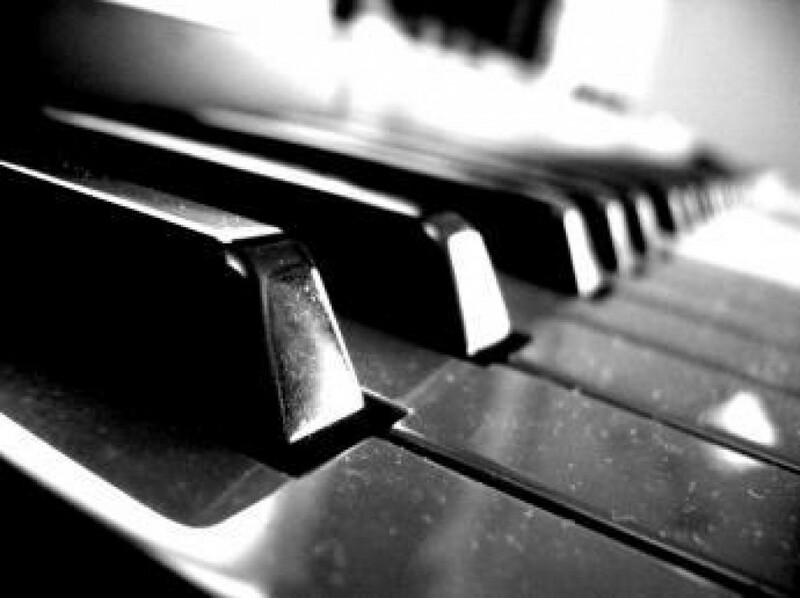 I would not have pursued my education in piano if I did not love that style of music. However, I think that all music has purpose and it’s just different for each genre. I do enjoy listening to the Ahn Trio and Anderson and Roe, but I also have a good time listening to Lindsey Sterling and The Piano Guys. Well, those are not my guilty pleasures. I would readily admit that to any one of you at any time. Well, here we go. My big music guilty pleasures: Demi Lovato, Britney Spears (her later stuff), Rihanna, Katy Perry. GASP. I admitted it. I’m still here and breathing. Well, now that it’s been said, I think you should all check out Demi Lovato’s latest album. It’s my favorite from her by far. I’m including a lyric video for one of my favorite songs from her latest album. Listen, enjoy, and then readily (or hesitantly) admit you enjoyed it to all you know….or don’t – it’s your call. So, what are your guilty pleasures? Comment here or send me a message via the contact me tab. Do you have something that you would like addressed or answered? Fill out the contact me form and I’ll answer it – nothing is off limits!